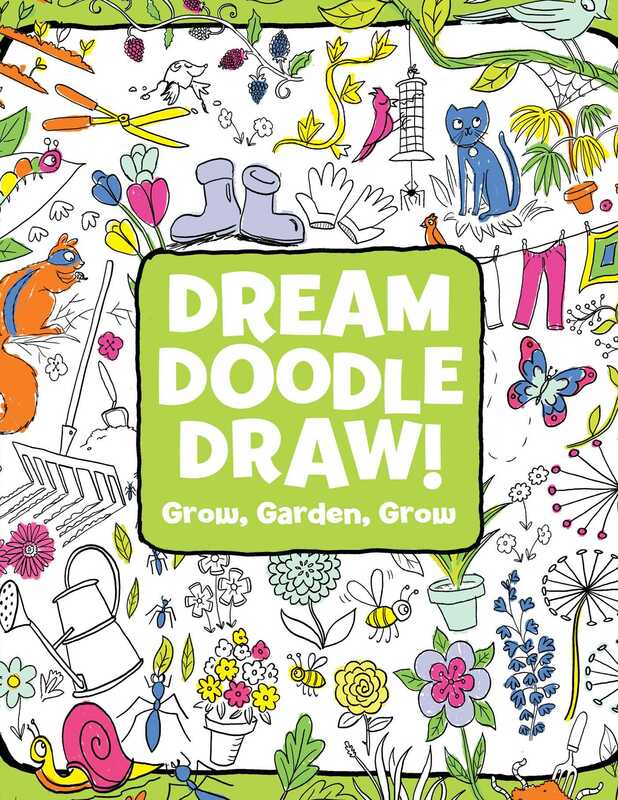 This garden-themed deluxe doodle book is filled with coloring and activity pages. It’s perfect for the youngest artists! Welcome to the garden! There are butterflies and caterpillars to draw, flowers and tomatoes to color, ants to lead through mazes, and more. This unique black-line doodle book with a glittery, glossy cover contains fun prompts and coloring pages to inspire the artist within! Migy Blanco has created characters and illustrations for clients such as Nickelodeon, The Telegraph, Flourish, and Mac User magazine. His visual style utilizes a mix of paint and ink with wild, vibrant colors, helping give his illustrations a fresh, bold, and eye-catching quality. Migy lives with his wife and son in London, England. More books in this series: Dream Doodle Draw!